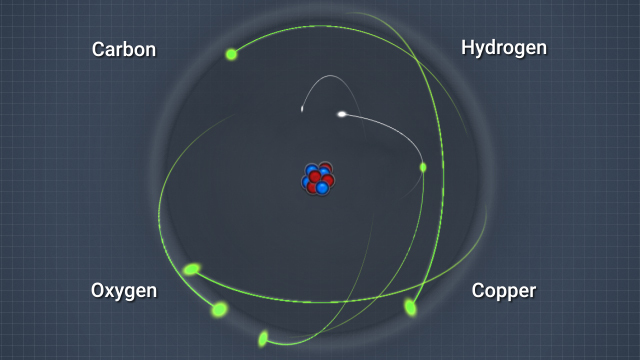 Atoms are the basic building blocks of all matter. Under normal circumstances, the number of positively charged protons and negatively charged electrons is equal. Electricity is the movement, or flow, of mobile electrons under the influence of an external voltage. 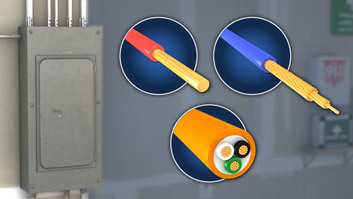 There are several similarities between water-based flow systems and electrical circuits. Water pressure is similar to voltage, flow is similar to current, and a water flow restriction is similar to an electrical resistance. 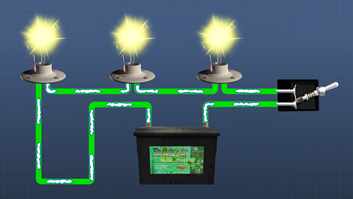 Electricity is a form of energy, and when considering circuits, electricity is defined as a flow of electrons. The flow of electrons is called current. Current flow occurs under the influence of a charge difference that is called voltage. Resistance is the tendency of a component to hinder the flow of current. 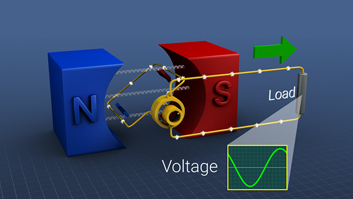 This course briefly reviews the aspects of atomic structures that allow the flow of electricity and then describes the relationship between current, voltage and resistance in an electrical circuit. 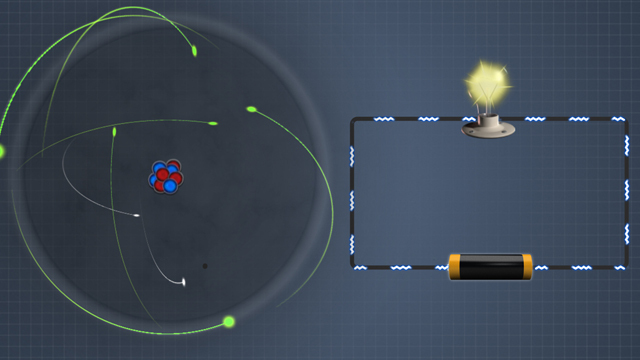 What type of charged particles orbit around the nucleus of an atom? 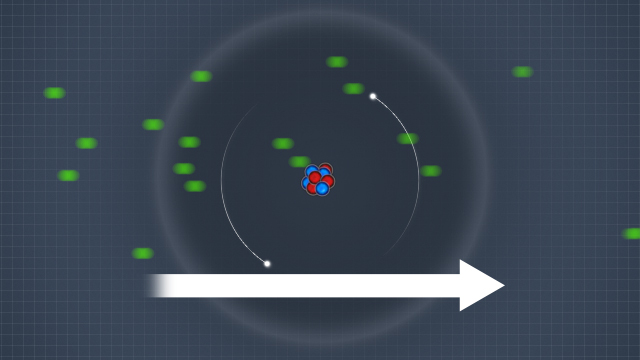 The particles that orbit around the nucleus of an atom are called electrons. What is an electrical current in a conducting material? An electrical current is the movement of mobile electrons under the influence of a charge imbalance. 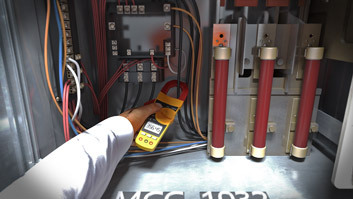 Voltage is the term applied to an imbalance of electrical charge. Are resistance and resistivity the same? No. Resistivity is an inherent property of a material and is not affected by the size or amount of material. 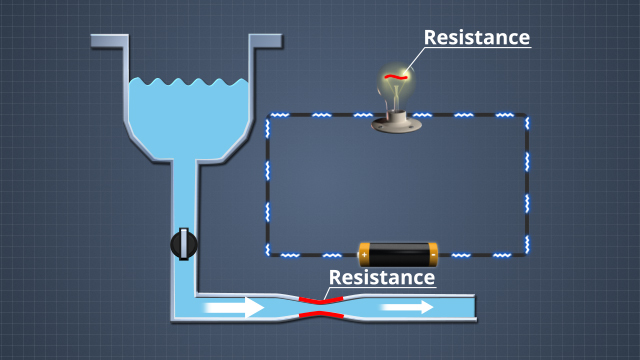 Resistance is a property of a given component that is affected by its resistivity, but it also affected by the size of the component. 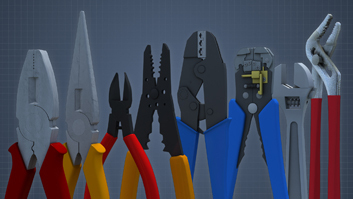 How are current, voltage and resistance related in an electrical circuit? Current, voltage, and resistance are related by Ohm's law which states that current is proportional to the voltage in a circuit and inversely proportional to the resistance in a circuit. Most materials in their natural state, like the atoms that make them up, have a balanced, or neutral charge. They have an equal number of negatively charge electrons and positively charged protons. There are situations in nature however where the charge distribution is imbalanced. For example, walking across a carpet can cause an accumulation of charge on your body. This occurs due to the dissimilar materials of the carpet and your shoes. When you reach for a door handle, the electric static spark that can occur is the result of the charge on your body coming to equilibrium with the charge of the door.